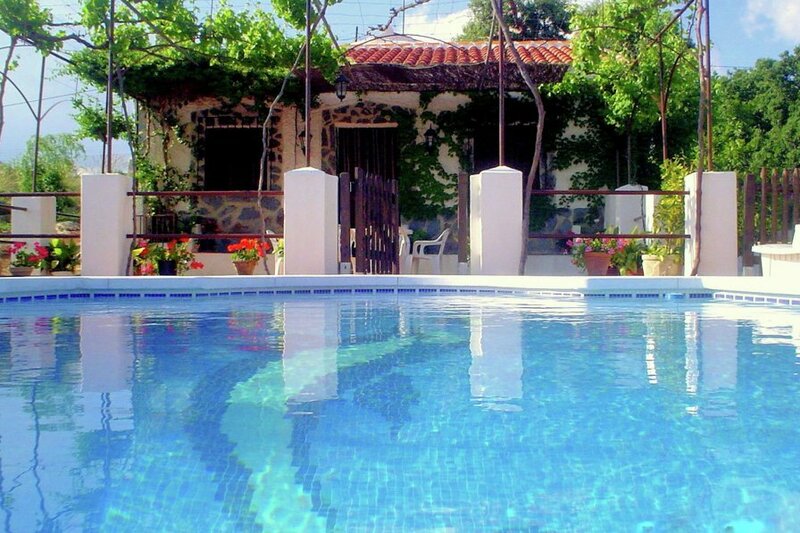 This rural property with private swimming pool, is situated 12 km from Loja in Granada province in a wonderful relaxing spot. It affords magnificent views and is a mere 7 km from a necropolis offering views over the Iznajar reservoir. The town of Ríofrio is a stones throw away and offers opportunities for sport fishing and restaurants where you can eat trout. The rural home is set in an enclosed estate of 1000 m. Close by there are lovely Mediterranean woods with holm oaks, fruit trees and lush vegetation. Activities nearby include climbing, paragliding, walks in the beautiful Loja mountains as well as opportunities to fly a delta plane. Set in a countryside location, you will witness tradition local olive harvesting, flocks of sheep and all manner of traditional agricultural tasks. You can also take advantage of the regions delicious gastronomy. This is the perfect base for visiting Granada (40 km) where you can visit the Alhambra and to drive to the Sierra Nevada to go skiing. 1x 7 x 4 m.